Oil and gas companies require back office software specifically designed for their industry in order to address needs like oil and gas accounting and land records management. Oil and gas back office software also delivers oil and gas reporting for regulatory purposes. By using this type of software, oil and gas companies can monitor financial asset depreciation; manage costing for complex operations like exploration, extraction and production; and track revenue from multiple locations and mineral deposits. Customer management features aren’t always included which is why integration with CRM software is important. In order to accurately calculate costs and revenues, oil and gas back office software needs to consolidate information from multiple systems such as oil and gas asset management and oil production, as well as payroll and HR for labor costs. Accounting Manager is an accounting system that allows you to handle your oil and gas revenue distribution and joint interest billing in an integrated system with features and tools to manage your business. 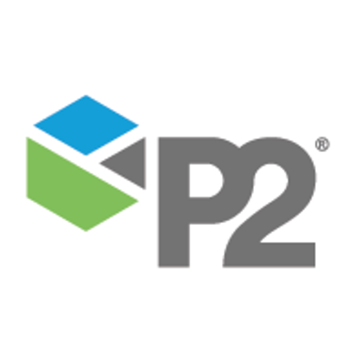 P2 BOLO is an accounting, land, and operations on-premise software solution that helps manage accounting, production and operations, land and lease management, compliance and audit, tax and asset management and more. Aspen Operations Reconciliation and Accounting software enables timely completion of plant boundary and unit balances. Produces daily reports of plant inventory and overall production numbers. EasyTrack is a custom software solution built to meet your project management needs in a role-based system that allows you to locate projects and edit data on desktop computers and mobile devices while keeping data synchronized. Egistix Oil provides real-time access to your businesses position with contracts, forecasting, inventories, trades and more to help you manage your business by automatically importing trade floor ideas, tracking stream, wellhead and more. The Integra Energy Management System is a oil and gas accounting software for managing working and royalty interest ownership, drilling operations, exploration and development of properties and more for the oil and gas enterprise. OPTAGON is a software tool used in facility design and operation for oil and gas assets production analysis. PetroBase Pro is an oilfield management software that allows users for integrating accounting, production, and operational data in a single environment to give producers a tool for powerful analysis that enables efficient solutions. We provide CTRM/ETRM (Commodity/Energy Trading and Risk Management) software solutions with the main focus on the refined petroleum products market. Our flagship product PetroMan® is an integrated system primarily for trading refined petroleum and NGL ( Natural Gas Liquids ). It covers bulk pipeline trading, risk management, pricing, scheduling, invoicing, inventory,credit and with an interface to back-end financial/ERP systems. PetroMan® also has a comprehensive Rack Marketing module, which covers all aspects of rack marketing including tax calculations. Petroware is an oil and gas software solution that provides features and tools like accounting and financial management, production management, land management and more to help you manage your back office. Oildex's Spendworks is an electronic invoice processing system designed specifically for energy companies. It streamlines the entire invoice handling process , from receipt all the way to approval so you no longer have to manually enter, route, and code paper invoices eliminating the paper chase. Total Asset Manager is a web-based oil and gas software platform that provides information about drilling. land, production, economics, and accounting to the applications in your organization allowing your data to be viewed across your departments. ZetaAnalytics software is an elegant and unified solution to tackle all drilling analytics challenges. 3esi-Enersight is a E&P industry provider of solutions for integrated strategy, planning and reserves. AFE Navigator (AFE Nav) is an all-in-one approval for expenditure software solution designed to integrate with your other key systems. Resource Energy Solutions AFE (Authorization for Expenditure) Manager and capital tracking software allows for increased efficiency, control and accountability. AFE Manager is very comprehensive software and covers a wide range of operational aspects. Agile Land Insights is a new breed of artificial intelligence software that has the capability to read words, sentences, and paragraphs just like a human being does. We have taken that amazing capability and trained it to read, think, and process your E&P documents in the same way that you do. ALI separates, classifies, groups, organizes, and analyzes so that you can do what you do best, your job! Compliance, transparency and accountability on production work. ALTO Produce™ was developed to enable each O&G producer to define their own specific processes, and effectively marry them with the industry regulatory processes required. ALTO Produce™ captures primary data and reuses it in all downstream applications, e.g. QByte FM, AFE Navigator and PRISM, etc. Software and data management development and designed to identify, integrate, track and manage the cross-functional workflow and data related to any and all production additions and changes including new wells, facilities, meters, schematics, and pipelines, etc. ALTO Produce™ is a workflow management tool that enables producers to capture, integrate and move data and information across the key roles and functions involved in making any changes to production related assets, creating transparency and accountability for each step of the process. ALTO Produce™: Integrates work across field operations, production engineering, production accounting, and construction, etc. Time stamps data and work steps as they are completed, and ensures all wells meet formal requirements prior to being brought on stream. Produces schematic diagrams of additions and changes. Reuses data captured and transfers it to all downstream financial and operations systems. Amalto e-Business Cloud is an integration platform designed to help businesses simplify, streamline, automate and accelerate their business processes. With APX, E&P companies leverage supplier e-invoicing and industry-leading integration into their ERP or best of breed systems to conquer invoice approval, cashflow management and expense reporting. Archeio Technologies provides a application suite for exploration and production companies to leverage across multiple web and mobile platforms to streamline the collection and management of data for petroleum engineers, geologists, land, and regulatory to make better business decisions. Avatar Systems is a oil and gas software solutions provider. EnergyCONNECT oil and gas solutions are built on Microsoft Dynamics 365 for Operations, which provides accounting, resource planning, operations and system integration with global financial management requirements. ControlST software suite is designed to provide the foundation for the Mark* VIe control system in a wide range of applications, including thermal, nuclear, oil and gas, wind, solar, and hydroelectric power. CrewChange is an offshore personnel management software that handles personnel movement, management, certifications, qualifications, and more to help you manage your business. C-SAM OPS is a proprietary asset management software solution designed provide tools to help manage operational and administration costs by managing visibility and control over all operations. Discovery Solutions provides business management software for the oil and gas industry. Discovery Management Software (DMS), is a suite of ERP (Enterprise Resource Planning) and mobile applications that improve efficiencies by automating Oilfield transactions and providing management with timely and accurate financial reporting. DocVue Enterprise is an oil and gas document management software solution. Drakewell is a software solution for field service needs, that includes asset and inventory management, to job usage and billing. Production management, field inventories, resource sharing, invoice and cost checking, compliance tracking, and AFE estimate tools. Accurately and expediently report your current hedge positions against your forecasted future production. Forecast your future cash flow in a variety of commodity price or interest rate environments and through live pricing feeds. Determine your monthly derivative settlements. Exploration2Revenue (X2R) Business Suite is a suite of solutions that provides accounting, land and production solutions to help upstream producers deliver efficiencies, productivity gains and cost savings across your operations. FieldVu is a business software solution that allows you to monitor and manage your business from the initial job and contract set-up, job and unit costing, dispatch, field ticketing, labor, equipment rentals and more to help you manage business growth. Front Foot is an oilfield dispatch solution that provides tools that help manage your operations and profitability with real-time gauge board estimates, real-time reporting of customer invoices and supplier statements, and more. Fuel-Flare-Vent Manager is an easily configurable and simple-to-use web-based data management solution for operations and production accounting personnel to track and report unmetered fuel, flare, or vent volumes using a common platform. FUTURE is a general-purpose oil and gas production forecasting system. GasAssure is an integrated gas portfolio planning software solution. GasPro is an enterprise solution that includes: trading, controls,compliance, accounting, & connectivity. GASTAR is a natural gas transaction management software that manages information from all points of the natural gas life cycle in one integrated system from the wellhead/meter to pipeline systems through gas processing and other functions. IAMTech Suite offers solutions for the oil, gas, power and chemical industries. 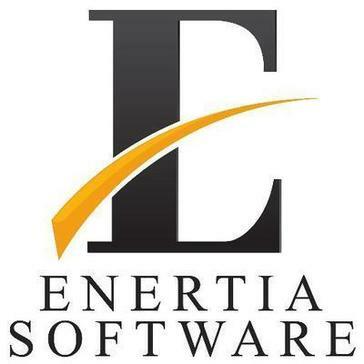 Ignite ETRM is a natural gas, crude oil and energy trading software and risk management provider. Industrial Status Viewer is a real-time, web-based application designed to enable departments to track equipment and safety movements. iWell is designed to help oil and gas operators reduce paperwork by enabling a mobile efficient approach for collection and reporting production and field data. Hi there! Can I help you find the best Oil and Gas Back Office solutions?